Young guys Unite! Lesser beings would be scared off by such rhetoric. Want some, get some. Young guys Unite! Lesser being would be scared off by such rhetoric. Want some, get some. The Old Timers have begun training for the exhibition tilt on May 13. What are you youngsters doing to prepare? Beware. Be afraid. Be very afraid. 'roids are no match for the time-tested combination of Beam, beer, beef, banter, chew, wine, women, and song. We're all natural and God is on our side. Remember Stu Nahen's query of Clubber Lane in Rocky 3? "What's your prediction for the fight, Clubber?" If not, just be certain to memorize Clubber's timeless response: "Pain." Yes, young bucks, pain. I pity you all. How can the JV hope to compete, much less win? I promise that you'll experience a type of humiliation unknown previously to mortal men. Your only chance, your only hope, is to repent and rid yourselves of your evil ways. Turn away from the darkness. Let the light shine in. Be free! Be free! Hey tom, who is mackenzie???? Pretty close to yer school?!?! Looks like she likes you lots. Well.... a message for Tom D. I am the girl you left behing in Centerville.. and I miss you... so call me! Lots of loves! 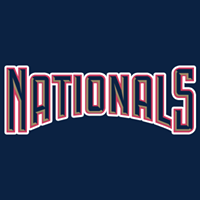 We hereby serve notice to the West Allis baseball club to cease and desist from the representation, utilization of and/or reference to the "Nationals" trademarked nickname. Major League Baseball holds exclusive rights to this trademark and any reproduction of said trademark must first be approved by the Office of the Commissioner of Major League Baseball.